Over recent years there has still been discussion on what makes a genuine 'Campaign'. The real answer has only recently been widely known, due to the generally wider availability of information from VW. A UK Campaign is defined by option codes S707 (Campaign package of equipment) and S750 (Pirelli alloy wheels). See The Campaign Controversy for more informaton. The Campaign is generally understood to be the special edition, 'run-out' model of the Mk1 Golf GTI. It had the advantages of the fully developed Mk1 Golf, with the benefit of virtually all optional extras installed as standard. On the exterior these are a twin headlamp grille (with fog lights rather than spot lights), green tinted glass, factory sliding sunroof, and Pirelli P 6Jx14 alloy wheels. The interior featured a leather bound steering wheel, internal mirror adjusters and the MFA trip computer. Unfortunately the exact definition of a 'Campaign' is a little more elusive than this, due to a slightly convoluted history. The story starts with an upgrade to the 1588cc GTI. By late 1981, the Golf GTI was a hot hatch amidst a veritable sea of other competitors, all vying for the title of 'Best Hot Hatch'. The Fiat Strada Abarth with a 2 litre engine had more power as did the Renault 5 GT with its turbo-charger. Cheaper cars such as the newly fuel injected Ford XR3i and the Astra GTE had appeared, with similar performance, if not the balance and solidity of the Golf. Volkwagen needed to do something to stay in the lead. The answer was to rework the engine. The engineers were asked for more power, which meant a greater capacity was required in order not to compromise reliability. The bore was opened out to 81mm, while the stroke was lengthed to 86.4mm, giving the familiar Volkswagen engine size of 1781cc. The longer stroke meant a new crankshaft was required, and balancing was undertaken and vibration damper were added. Many components were lightened, included the pistons and rods. Valve sizes were increased and the head changed to allow it to contain part of the combustion chamber. This also raised the compression ratio to 10:1. This engine block is still used, and is virtually unchanged, in the 1.8 Turbo engine in the latest Mk4 Golf GTI, now developing 180bhp, a testament to its design and quality. All this work resulted in a mere 2bhp gain, as the new engine had 112bhp against the old 110bhp. Crucially though, the big change was in torque, and those who really understand performance cars will appreciate the difference between peak torque of 109lb-ft at 3500rpm for the new engine against 101lb-ft at 5000rpm for the old. Despite slightly longer gearing the 0-60 time was dropped by over a second to around 8.3 for the 0-60 dash, though as you would expect, top speed was just a little higher at 114mph. 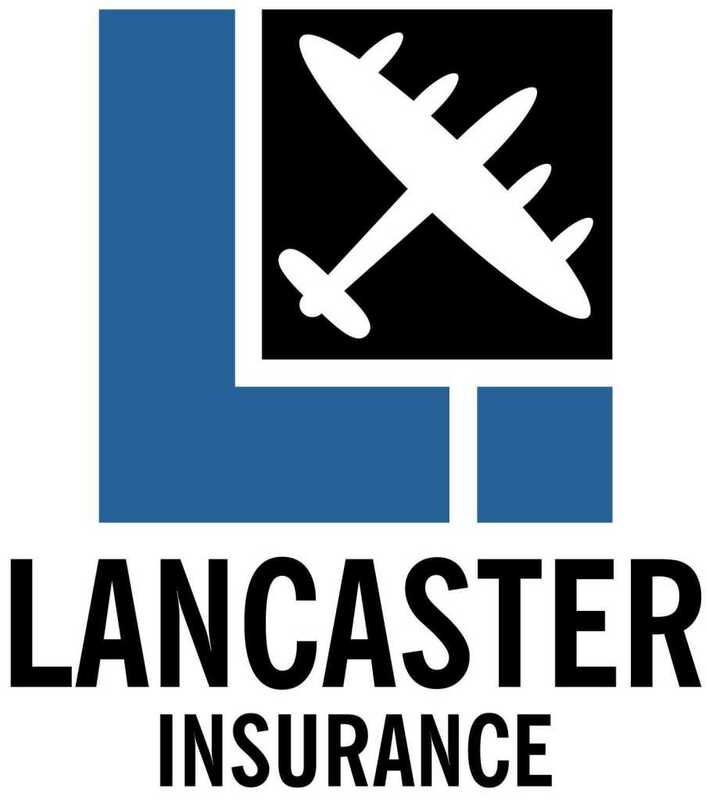 The price in the UK for the new car was ?6,499 due to the high inflation in the late 70s and early 80s, virtually a 100% price increase in 6 years! It went on sale in August 1982, along with a new option on the spec sheet, Pirelli P wheels. Also included was the new MFA (Multi Function Actuator) trip computer. At the touch of a button, this provided a digital readout including the current time, journey time, miles travelled, average speed, average economy, oil temperature and outside air temperature. Some have commented that this was really planned for the Mk2 Golf GTI and was being 'guinea-pigged' on the Mk1 to see how robust it was in practice. Time has shown it to be generally very reliable. 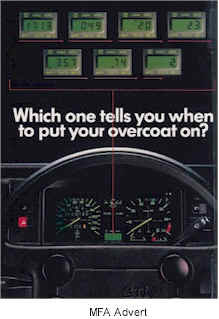 In May 1983 Volkswagen added another colour; Lhasa Green. By this stage it was now possible to order a car from the factory with the complete 'Campaign' specification. Strictly speaking, these cars precede the 'Campaign' itself, but many are of a completely identical specification and can arguably be regarded in the same light. At the same time Volkswagen Germany launched the 'Pirelli Special Edition' which was similar to the later 'Campaign', with the exception of the sunroof, which was optional, and colour coded wheel arch extensions, not found on any other varient of the Mk1 Golf. Volkswagen France launched a similar version called the 'Plus'. 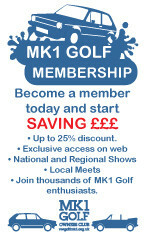 After eight successful years, with the end in sight for the Mk1 Golf in the UK, and with a new Mk2 design waiting in the wings and due to be launched in September 1983, Volkswagen UK decided to pull out all the stops in order to shift the last Mk1s out of the showrooms before the Mk2 arrived. This was the 'Campaign'. 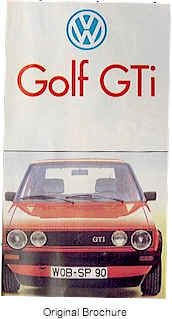 The brochure for the car, published in July 1983 refers to the car as the 'Extra Special Golf GTI', and nowhere in the text is the word 'Campaign' used. Many have duly assumed that the term 'Campaign' was never officially used and that it had been added by enthusiasts at a later date. At the same time, the final Golf GTI colour was released, Helios Blue. Fortunately, in May 2001 a previously unknown document was found in the service history of a 'Campaign'. 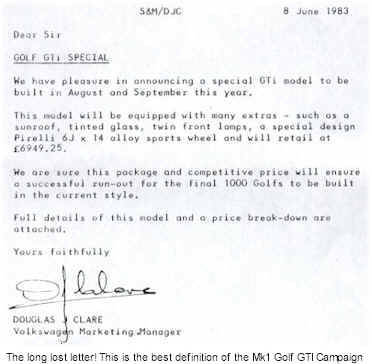 This document was given to the original owner by the Volkswagen sales man who sold the car, in order to explain the specification of the 'Campaign', Interestingly, the front page refers to the 'Golf GTi Special' and the spec sheet on the second page refers to the 'Golf GTi Campaign Model'. So the name is infact, official.The document also clearly states that 1000 models were to be made available and they would be built in August and September 1983. 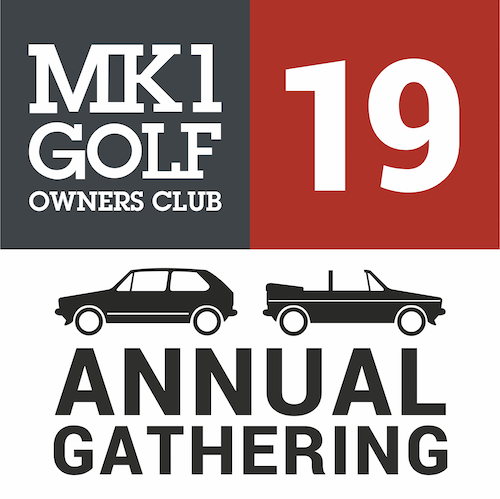 Although, strictly speaking, the 'mk1' shape of the Golf did soldier on into the 1990s in the form of the Golf Cabriolet, these final versions of the Mk1 Golf GTI were available to order in August and September 1983 only, until the last ones were sold in early 1984. The price was now £6949.25. 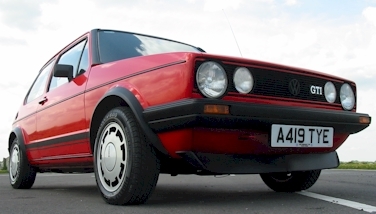 This was the fully developed Mk1 Golf GTI, at a price to match. 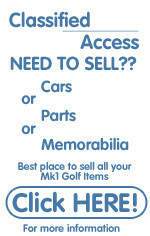 At the time, dealers reported difficulty in selling the cars, as the new Mk2 Golf GTI was by then available to buy, a strange final twist, considering the desirability of the car today. At the time only a handful of people realised that here was an irreplaceable classic car in the making. Hindsight is, of course, a wonderful thing! 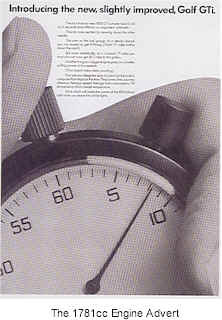 So, after many years of phone calls and letters to and from Volkswagen UK, Germany and France, through countless discussions in the VW press and amongest learned enthusiasts attempting to answer the question of whether the 'campaign' tag was really deserved or not, it turned out that the final official word on the subject of the 'Campaign' was actually written on the 8th of June 1983 by Mr Douglas J. Clare, then Volkswagen Marketing Manager, UK, before the first 'Campaign' was ever sold.